Jack W. Regan creates a medieval world complete with strange critters that will have you laughing. Max as the 13 year old son of Lord Ransome, a powerful ruler. When the wicked Zodak’s evil army of Phantors killed Lord Ransome, Max fled to save his own life. However, not only was his life at stake but all of T’Aragam, for Zodak enslaving the people. Max and his quirky friends monster brothers, Doom and Gloom, a wizard named Zohar, and Gramkin a medgekin work together to save the kingdom. Regan is a talented storyteller. His plot is entertaining and captivating. The character are humorous with voices of their own. The pace is fast with twists and turns that hold the readers interest all the way to the last word. This is the first book in the new series. I suspect this could attract as many readers as Potter’s books. Normally most of the books I read are for the Young Adult set and older, but when Jack W. Regan contacted me about reading and reviewing his book I couldn't pass it up since I enjoy fantasy so much. And let me tell you, this book was great fun, and I wish it had been around when I was the target audience/age for it. As you can see from the synopsis, there are some great characters with funny names, but even more importantly, T'aragam is a well-written story that grabs you from the beginning. Regan has done an excellent job weaving an adventurous tale infused with quirky humor that had me laughing out loud many times. Young Max Ransome is thrown into danger early on, escaping an attack on the Ransome Castle only to land in greater danger as he flees. After learning plans that the evil wizard Zadok has, he returns home to do what he can to disrupt Zadok's schemes. Just when you think the story is winding down, Regan throws in a twist to keep you on your toes. T'aragam is the first book in the Max Ransome Chronicles, and while it's certainly an easy read for me, I am will be likely pick up the next book (when it is available) so I can see how the story continues. Any young reader will likely enjoy this book, and it wouldn't surprise me if this story causes some readers to become hooked on fantasy books in general. It would certainly be a great introduction into the world of fantasy for the younger readers. A well written fantasy Novel! This book is certain to peak the interest of teens from all over! There is a lot excitement and thrills! A Must Read! A great book to kick back relax and let the adventures begin! Highly Recommended!! I was teased with the beginning of this book before it was published. Then I had to wait to read young Max out of the trouble I had read him in to. As soon as I started reading, it happened again. Me and Max in and out of one thing after another. I couldn't stop and I enjoyed every minute of it too. 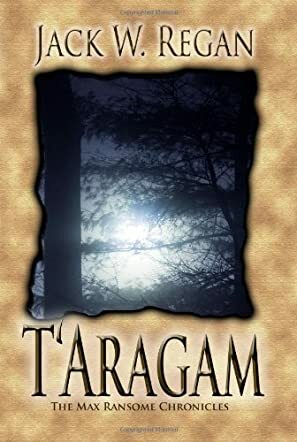 T'Aragam: The Max Ransome Chronicles by Jack W. Regan is a great new Juvenile/Fantasy novel. It is a story of medieval meets magic and is packed with adventure. The characters will have you laughing, cheering, and some you will just love to hate. Max Ransome is thrust into a dangerous adult world at the young age of 13 after he witnessed his father's death and then is forced to fight to save his own. As the story progresses he realizes that it is not just his own life that is at risk, but all of the lives in T'Aragam. His father, Lord Ransome was a great and powerful ruler, but with him gone there is no stopping the evil Zodak and his army of Phantors from taking over the land and imprisoning the people. Is a boy of 13 any match for an evil empire? To find out he must learn who to trust and, most importantly, he has to learn to trust himself. Max is befriended by some interested characters along the way. A pair of monster brothers, named Doom and Gloom, who are reduced to tears at every new obstacle. A clumsy medgekin, named Gramkin, who is motivated by his addiction to cheese, and a loyal wizard, named Zohar, who just happens to be the brother of the evil Zodak. Then you add the dark assortment of enemies like the beautiful Ariaal, whose magic and looks prove to be a treacherous combination and, of course Bob, the sea ever hungry sea serpent. I will recommend T'Aragam. It has everything to captivate the imagination; danger, excitement, humor, and endless adventure. This was a well written fantasy fiction. It had an interesting collection of characters and a good story line with lots of humor throughout. I enjoyed this book very much and am looking forward to reading other books by this author. foot and it coming from the dark wood. enjoyed it and look forward to see what else Jack Regan will bring next.